Count Simon opens his account. KRB purchases continue there winning ways recently. Count Simon bought from Andrew Balding’s at the Horses in Training sale in Newmarket in the Autumn won the novice hurdle at Downpatrick, staying on strongly under Davy Russell. 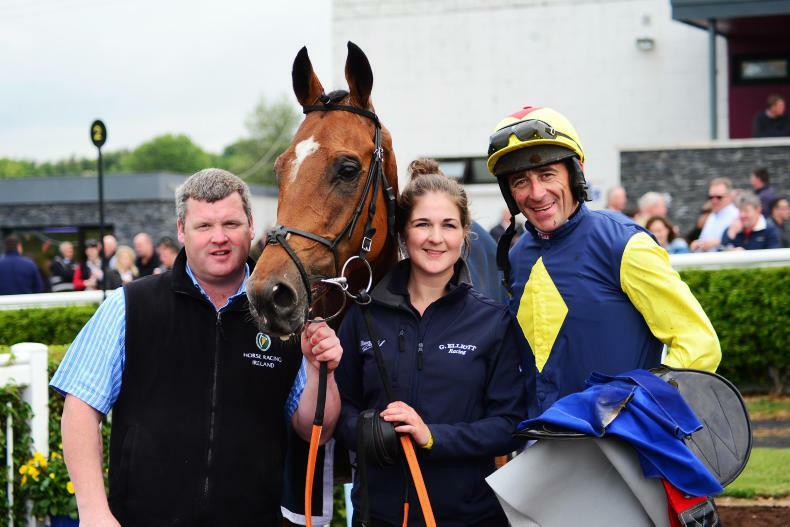 He is sure to win plenty of races for Joe and Pat Sloan and trainer Gordon Elliott. Final Reminder won her third race in a row winning the mares handicap hurdle at Aintree for Nick Alexander and owner Brian Castle. Ridden by Lucy Alexander she stayed on strongly to get up close home. I’m Always Trying won the handicap hurdle at Fontwell by nine lengths for Paul and Clare Rooney, ridden by Harry Skelton for his brother Dan. I’m Always Trying was bought by KRB as a store in Goffs Landrover Sale and looks like a horse on the upgrade. KRB will be at the Derby sale next week where they hope to find some nice stores for their clients.